What's for dinner? That's up to you, but when you're ready to set the table, this background will help you get started. 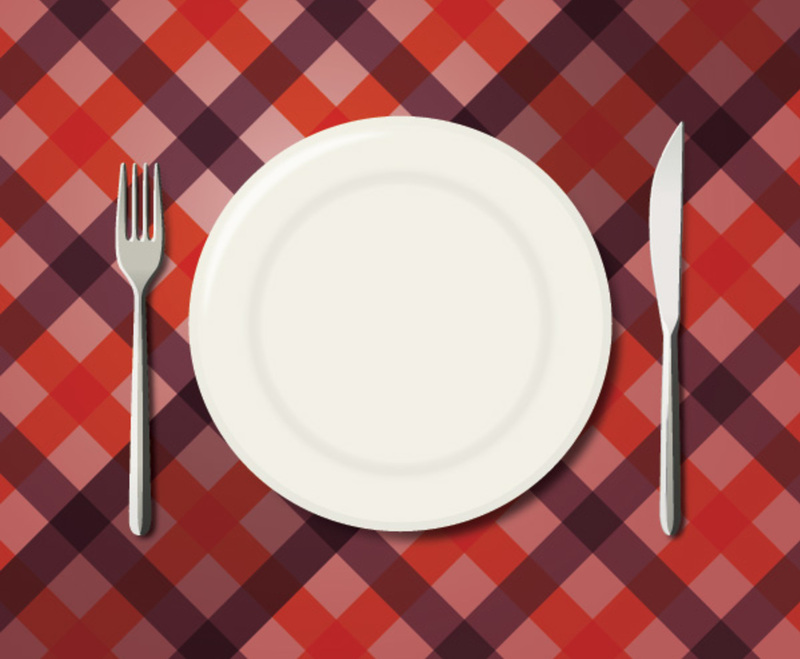 It's a classic take on American design, with a checkered plaid table cloth running under a simple white plate. A fork sits to the left of the plate and a knife to the right--sure, it's not a full set of silverware, but it gets the message across. The plate is perfectly centered and acts as a clear focal point. Add text or additional images and you're ready to promote a restaurant, neighborhood block party, or any other event.